Is this yixing slipcast or not? Hello, this is my first post here. Have been reading this forum for a while, and bought a yixing (this is my first one) from an antique shop online for cheap (~10$). I thought it looked pretty neat, so I bought it. 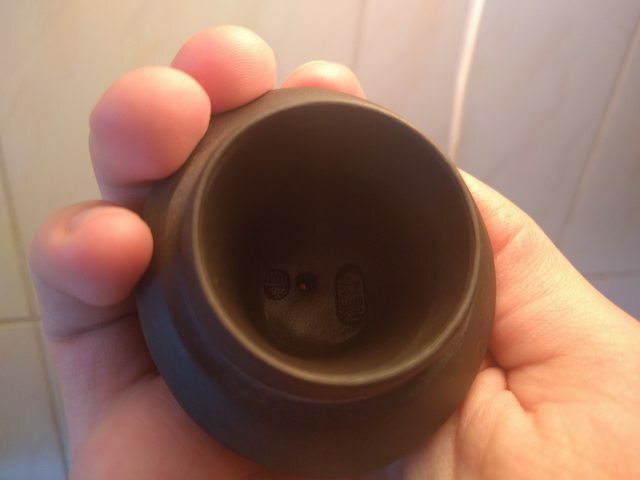 I was pretty sure that this is slipcast pot, as indicated by lines in the front and the back. Though the handle looks like it has been added later. Also, there are tooling marks on the inside that look pretty convincing. They go all the way up. 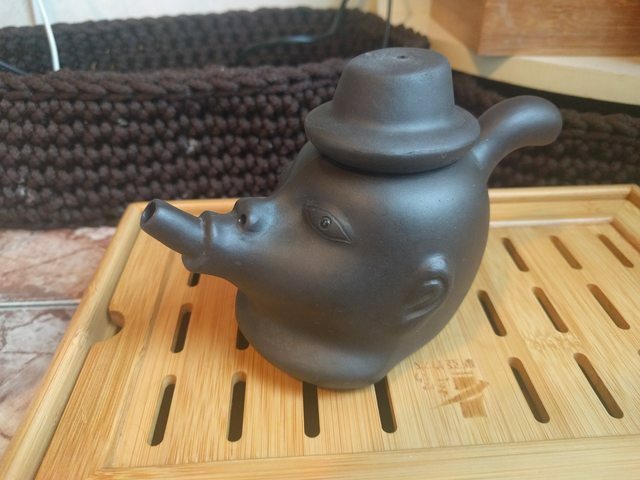 It is a pretty nice teapot nonetheless, absorbs a lot of flavor from my puerh, more than the unglazed thrown clay teacup I have, anyways. Sorry for the image quality, I only have my phone and sunlight doesn't shine often in winter here. Would really appreciate any opinion on this, thank you. Re: Is this yixing slipcast or not? 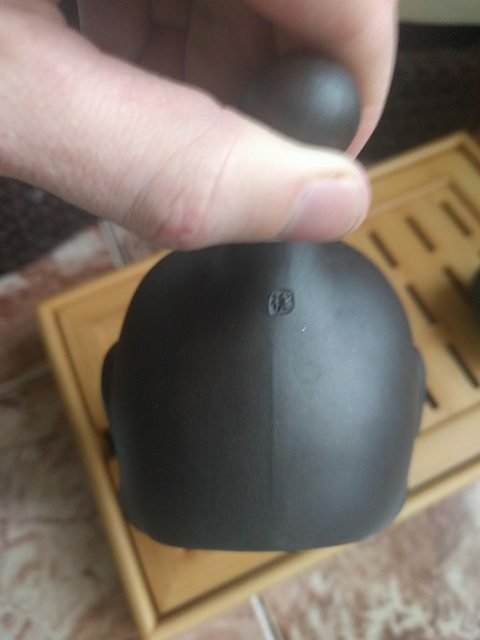 Look for a symmetrical line on the body of the teapot, some may include the handle. 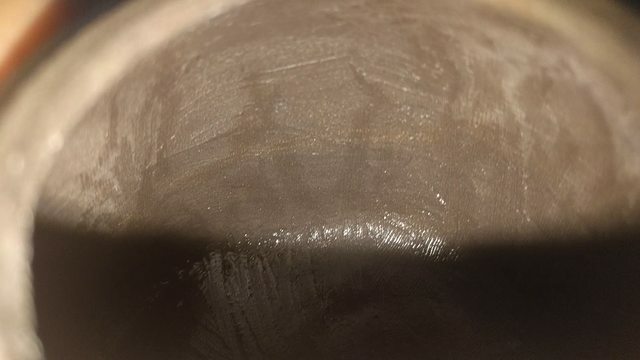 In order to slipcast, they will need to grind the clay fine enough to slipcast and typically adding other bonding ingredients, so the teapot is less breathable. The inside. Didn't manage to capture it well. I don't really have the experience to tell if the marks are faked or not. 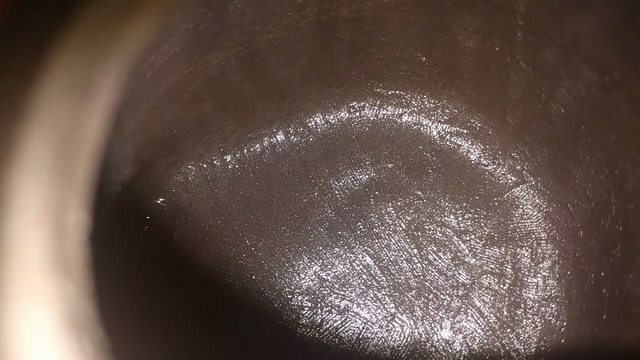 Interestingly enough, the teapot doesn't have a filter. Looks like slipcast and dyed. I personally wouldn’t bother using it. Looks like the type of pot that will negatively impact tea. Plus that kind of shape only calls for trouble. Thanks! Guess I'll be using it for decoration. Isarite wrote: Hello, this is my first post here. Have been reading this forum for a while, and bought a yixing (this is my first one) from an antique shop online for cheap (~10$). I thought it looked pretty neat, so I bought it. 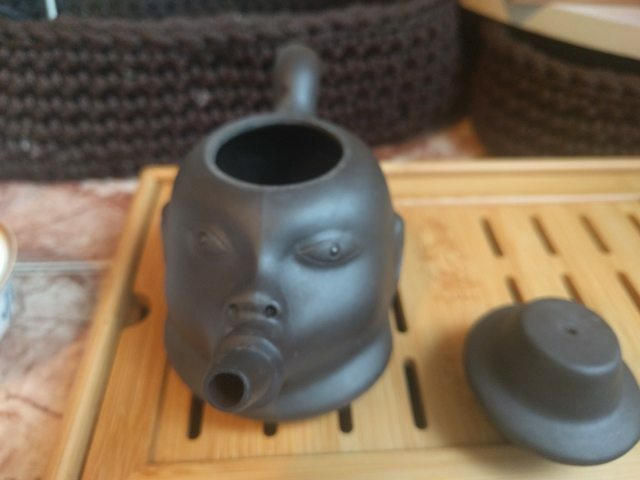 It's strange for an Yixing teapot not to have a filter. 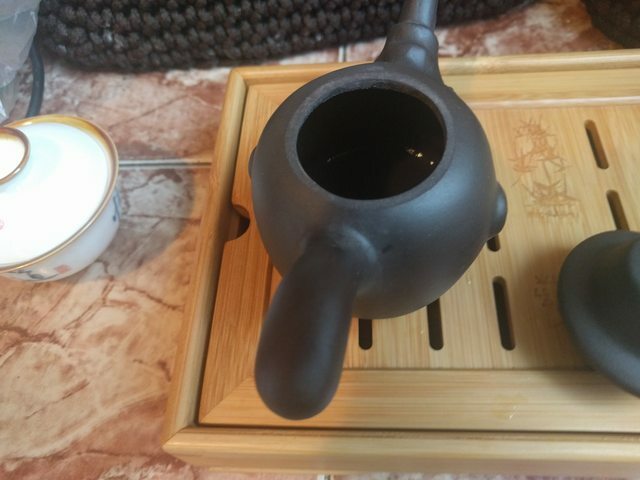 Yet, given this shape it's definitely not a common teapot. I would believe it to be handmade, but I don't trust the material based on the pics.